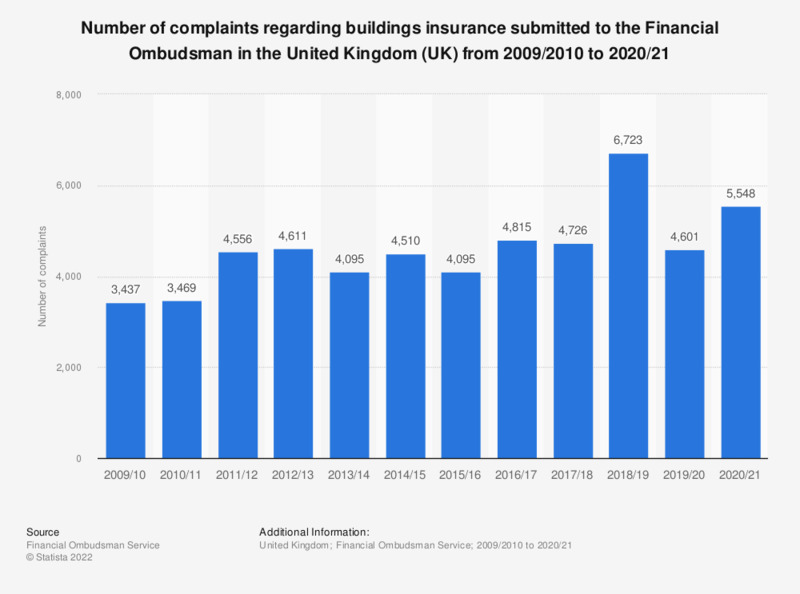 This statistic illustrates the number of complaints submitted to the Financial Ombudsman regarding buildings insurance related issues in the United Kingdom (UK) between the financial years of 2009/2010 to 2017/2018. It can be seen that the number of buildings insurance complaints increased overall during the period under observation, reaching a total of more than 4.7 thousand as of 2017. The smallest number of complaints during this period were found in 2009/2010, when a total of over 3.4 thousand complaints were recorded. Financial years ended 31st of March.